Since my current work in progress involves outlaws and the women who run with them, I've been researching the members of Butch Cassidy's Wild Bunch. Interesting characters indeed, but their female consorts are just as interesting, if not more so. I thought I'd write one single post about them, but their own stories are so rich, I'm take them in parts. We'll look at Etta Place, Laura Bullion, and the Bassett sisters, Ann and Josie separately. 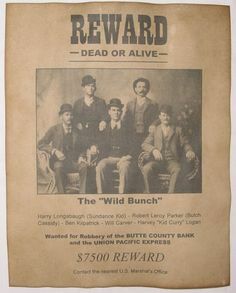 The Wild Bunch core members consisted of Butch Cassidy (Robert Leroy Parker), the Sundance Kid (Harry Longabaugh), Elzy Lay, Ben "the Tall Texan" Kilpatrick, Will "News" Carver, Camila "Deaf Charlie" Hanks, Laura Bullion, George "Flat Nose" Curry, Kid Curry (Harvey Logan), and Bob Meeks. The Outlaw Hideouts: Places to shelter strung out along the outlaw trail where different gangs could rest, restock ammunition, and refresh horses. Place such as Hole-in-the-Wall, Robbers Roost, and Brown's Park. Often there was a give and take between the outlaws and the surrounding ranchers. The Wild Bunch. The most successful gang of bank and train robbers the old west has ever produced. Their heists were meticulously planned, but more importantly, so were their escapes. Immediately after a robbery, the gang would scatter in different directions, where fresh horses would be waiting at intervals along the escape routes—an advantage the pursuing posse didn’t have. At a later time the gang members would assemble again at one of the hideouts. Another signature of the Wild Bunch, compared to other gangs at the time, was to eschew physically harming their victims, preferring to use other means of persuasion. Not that there weren’t a couple of violent psychopaths in the group (I’m looking at you Kid Curry, you maniac), but in these heists, at least, violence was discouraged. Butch boasted that he never killed a man—which if your moral high bar is set at Never Killed a Man, you may want to reset your bar. Who were they? Most people can readily name Butch Cassidy and the Sundance Kid. Some of you might be able to dredge up some of the lesser known characters like Kid Curry or Elzy Lay. But did you know there was the woman who sometimes rode with the Wild Bunch? Her name was Laura Bullion. 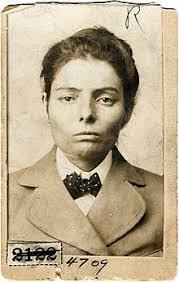 Laura was born around 1876 to a Native American father and a German immigrant mother. There is some dispute about where she was born, but one thing everyone agrees on is that she was raised in Knickerbocker, Texas. What’s noteworthy about Knickerbocker is that it acted as a meet-and-greet, networking venue for outlaws and cowboys. Several of the Wild Bunch members as well as other notorious outlaws sprung out of Knickerbocker. This mingling of cowboys and outlaws became significant in 1887. In that year there was a blizzard so devastating that it changed the west forever. Ranchers lost about 90% of their cattle. The risks of open range ranching became clear. After that, Ranchers went in for fencing in smaller herds, and putting more effort into growing hay for feed. What this change meant was that not as many cowboys were needed to run to ranch. 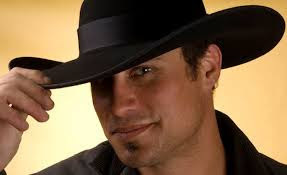 Suddenly we have a surplus of cowboys. This drastic change would alter the life of many of our players. For instance, in Pennsylvania when an introverted, bookish boy, Harry Longabaugh, fed on a diet of dime store novels, headed out west by himself at the age of 14 to become a cowboy, after the winter of 1887, he found himself struggling to survive. Like many others, the steady work ran out and the temptation to turn to crime was too much. Longabaugh turned to theft and continues on this course as the Sundance Kid. It’s in this milieu we find young Laura. Her father, Henry, was a bank robber. It was through him that Laura met the outlaws passing through Knickerbocker, including a few men who would become significant in her life at a later date. Laura’s early life was rocky to start with, becoming worse after her parents divorced when she was 5. After that her mother, Fereby, shuffled her offspring between her relatives whenever she picked up with a new boyfriend, which became a permanent situation when Henry died during a robbery. Fereby, free to marry again, left her children with her parents. When Laura was 14, her aunt, Viana, married Will Carver. 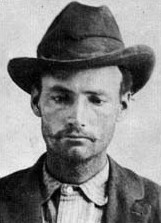 Will would come to be known as “News” Carver a core member of the Wild Bunch, but at this time he was only a cowboy who was head over heels in love. Unfortunately, this marriage would end in within months when Viana died of fever. Maybe it was losing this stabilizing influence that turned Will toward a life of crime, because after this he joined Black Jack Ketchum’s* gang of outlaws. At 15 Laura began a romantic relationship with Carver. This was also the age she became a prostitute in San Antonio. Two years later she went back to Knickerbocker and attempted to clean up her act, going back to school and otherwise behaving as a good citizen. All the while she and Carver maintained a correspondence. 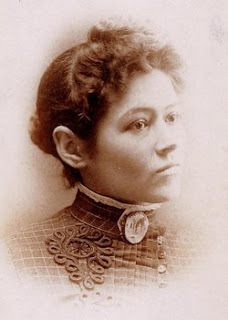 This connection with the bad boy, Carver, may have proved too much a pull for her, because at age 20 she left home to support herself in Texas and Wyoming as a dance hall girl, and back to prostitution at the infamous Madame Fannie Porter’s high end brothel, a favorite haunt of the Wild Bunch. This is possibly where Sundance met Etta Place. 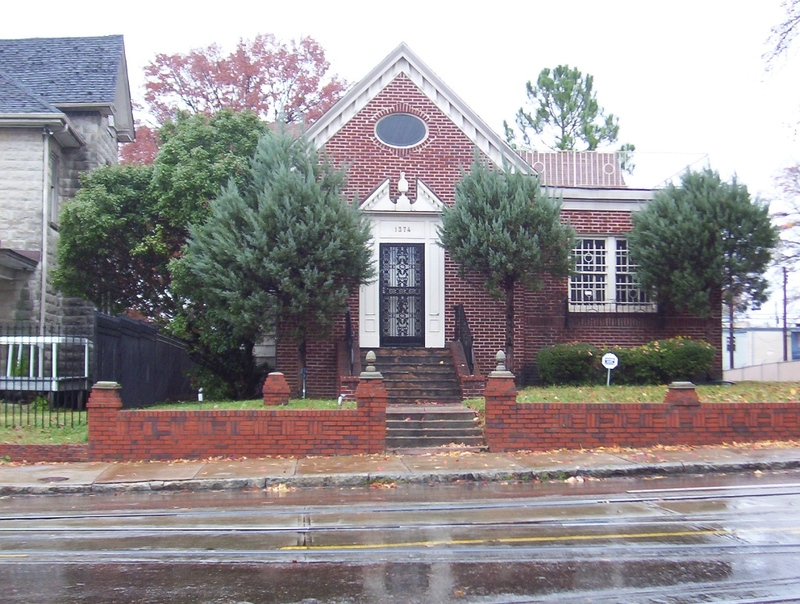 In the early days when Carver was with Ketchum, he would take up with Laura at Madame Fannie's between robberies. Carver was a handsome, though moody guy. I think of him for Laura as that bad boyfriend you can't seem to get out of your system. By the way, he got the nickname “News” because he was so fond of seeing his own name in print. Anyway, Laura whether it was because she romanticized her father’s outlaw life, had a streak of larceny herself, or because she wanted something more from her boyfriend than the occasional visit, asked to join the Ketchum gang. Black Jack said no to that. After the death of Jack Ketchum, News starts to ride with the Wild Bunch. 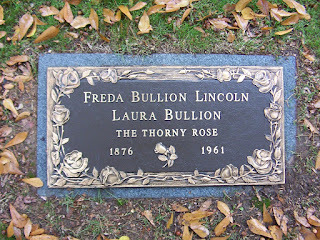 Butch was okay with a female outlaw, so in comes Laura, and the so called, Wild Rose or Thorny Rose was born. It’s not clear what her exact role was, but she fenced goods for the gang, forged bank notes, and perhaps held the horses for them during robberies. If she participated in the hold ups herself at this time is debatable, though one lawman declared she was quite capable. 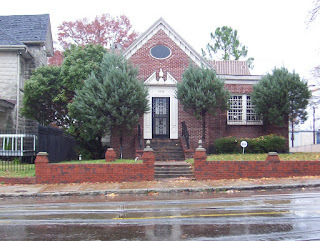 Then in 1901, Carver married Lille Davis, another prostitute from Fannie Porter’s. His marriage to Lille was the reason the gang met up in Fort Worth where they posed for the infamous Fort Worth Five portrait, which immediately went onto Wanted posters. Quite understandably, Laura wasn’t happy about this marriage, and a rift ensued between her and Carver. Instead she took up with Ben Kilpatrick, the Tall Texan, and possibly other gang members. But, Carver, quickly tired of his new bride and went back his old ways, which included Laura. (See what I mean about the bad boyfriend. She... can’t... seem... to... shake...him). 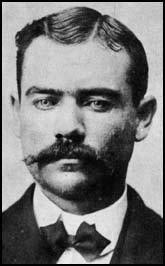 However, in 1901 Carver was shot and killed in an ambush with the law, which ended their relationship once and for all. He was 32 at the time of his death. At this point, Laura and Ben become an exclusive item. He was a handsome man with an easy-going manner who lavished Laura with gifts and trips. He was one of nine children from a family with outlaw tendencies, so he and Laura were cut from the same cloth. Ben became acquainted with Carver and the Ketchums in Knickerbocker. I’m going to jump in here to remind you I’m a storyteller, not an historian. There are so many conflicting accounts and facts I couldn't verify, that I'm leaving things out. For instance, I read one description of Ben as having "yellow eyes with a violet spot in each" and as much as I'd like to believe such an extraordinary feature could exist on a human being and pass that on, I couldn't find any other references to his having yellow eyes. So, I have to leave that out, sorry. Other times I’m going to interject my personal opinions. For instance, there is actually a debate as to whether the Tall Texan was tall or merely average height. I’m going to go out on a limb here and say unless he was ironically nicknamed the Tall Texan, he was tall. And, you can clearly see in the Fort Worth Five photograph, he’s not a pint-sized guy. Sundance was said to be a tall man, but Ben looks taller. After the gang appeared on Wanted poster, the game was up, and the Wild Bunch disbanded. Butch, Sundance, and Etta head off to start a new life in South America. Remaining behind, Laura and Ben along with Kid Curry planned and carried out a train robbery in Wild Bunch style. The robbery was successful and Laura and Ben retreated to live it up in St. Louis. Unfortunately for them the Pinkertons had sent serial numbers of the stolen bank notes all over the country. The noose was truly tightening on the outlaws. Again, it's a little murky who was arrested first and how, but the end result of passing stolen money was they both ended up being arrested. Laura spent three of her five-year sentence in the Missouri State Penitentiary. 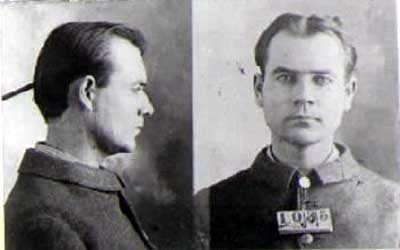 Ben was sentenced to fifteen years to be served in Atlanta. While incarcerated, the two kept up a correspondence. Interesting to me is that Ben’s family in Texas also sent Laura letters and even money, which attests to how established their relationship was. The Pinkerton's also thought it interesting and intercepted letters between all parties involved in hopes of getting clues of where Butch and Sundance were. “Darling, the warden tells me I will be out next week. I will not leave the city but I will get some kind of work near here and will wait until you are released. I have figured out that by good behavior you can get out in December 1911. I will wait and you will see me when you get out. I wanted to see you but they said it was against the rules. When she got out of prison she did attempt to visit Ben under a false name but was denied. There is an article in a newspaper dated 1905 about the outlaw Laura Bullion petitioning for Ben Kilpatrick early release. He did get released early in 1911. Except he was immediately arrested again for murder and extradited to Texas! Even though he was acquitted this may have been the moment Laura threw her hands up in the air. He may have too, because upon his release he went back to train robbery. In 1912 Ben and another man attempted to rob a train in Texas. Ben took an express messenger hostage while he looted the safe. The hostage managed to grab and hide in his coat an ice mallet. He then pointed to the ground (I have to take a deep breath here) and said something along the lines of “Oh, look you forgot something on the ground there.” (Don’t fall for it, Ben!) ...Ben bent down. He was killed instantly by a blow to the back of the head. He was 38 years old. He and Laura never had the chance to reunite, and Ben has the distinction of being the last train robber for this really was a dying way of life by now. 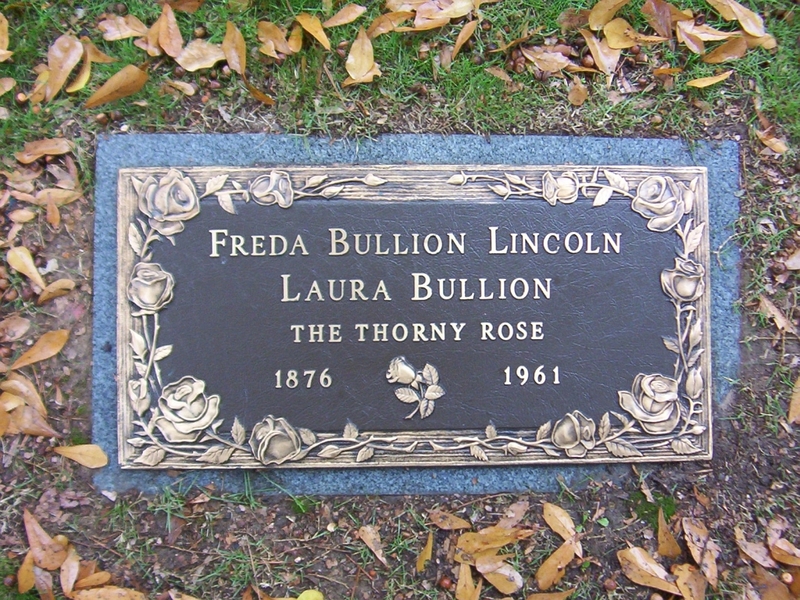 Laura Bullion went straight, changed her name to Freda Bullion Lincoln, and claiming to be a WWI widow moved to Memphis. She also shaved ten years off her life. I’m really curious about her love life after Ben but all I was able to find was that she had four lovers after him but I couldn't find anything about who they were. According to the census, she took up housekeeping and then drapery making. In later years she is upgraded to interior designer, which is quite a career trajectory from outlaw. In 1961 the last member of the Wild Bunch dies quietly of heart disease in Memphis. She was 85. Next up, The Bassett Sisters of Brown's Park. *Black Jack Ketchum will go down in history as an example of what can happen if the hangman gets the ratio of length of rope to height and weight of the condemned person wrong. Instead of getting his neck stretched Black Jack lost his head. What a great article. I so enjoyed it. Thanks, Nan! These are fascinating people in an interesting time where we're moving into modern times and so many changes afoot. Every time I return to the topic, I find new layers to delve into. And the women surrounding the Wild Bunch too often only get mentioned briefly in history books (usually as the "common-law wife of so and so") but they do have their own stories to tell. Thanks for stopping by. Great blog, Patti! I, too, am curious what her life and love life was like after Ben. In a way I feel sorry for her. Life wasn't very kind to her in the beginning, though she was a true survivor. Thank you Julie! It's incredible to me that she died in my lifetime. A true survivor. I wonder how she weathered all this emotionally. In looking into the lives of all four women, Laura, Etta, and the Bassett sisters, it's striking to me how different the stories are from one another as they orbited around the Wild Bunch.